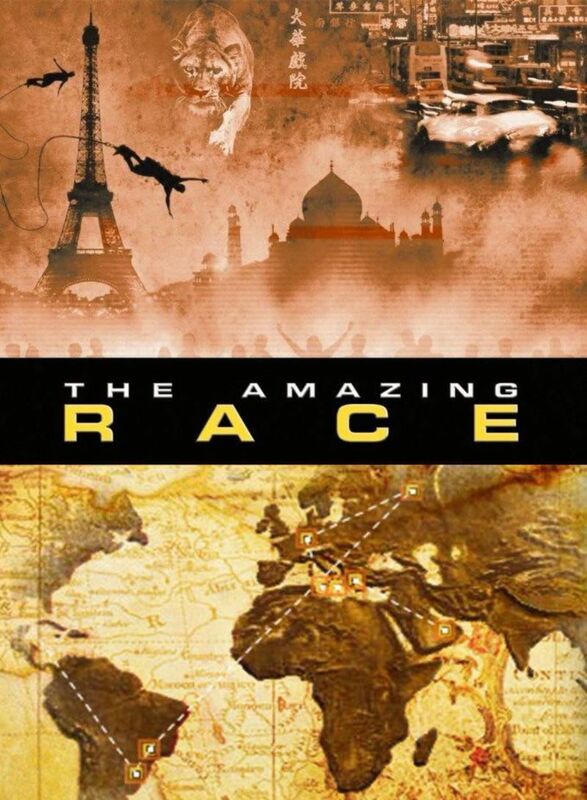 The Amazing Race is an American reality competition show in which typically eleven teams of two race around the world. The program by CBS has been running since 2001. The 29th season is scheduled to premiere mid-season during the 2016–17 television season. The font used for the title of the TV competition show is Eurostile Extended Black. The Eurostile type font style is a geometric sans-serif typeface designed by Aldo Novarese in 1962. The square sans serif is a popular display font, particularly suitable for headings, logos and signs. In addition to The Amazing Race (TV Show), Eurostile typeface is also used in the following logos, movie posters or album covers etc., including: Ghost Recon, Subaru, S Club 7, Blank City, The Wack Album, MasterChef, Flight, Deal or No Deal, Trench (Twenty One Pilots), GoPro Logo, Under Armour, Klout, Colgan Air, Lincoln Electric, The Pokemon Company.